Brand: Taylor Precision Products 80-10 Units: 1 For candy, jelly, or deep frying. Measures temps from 100-400 degrees. 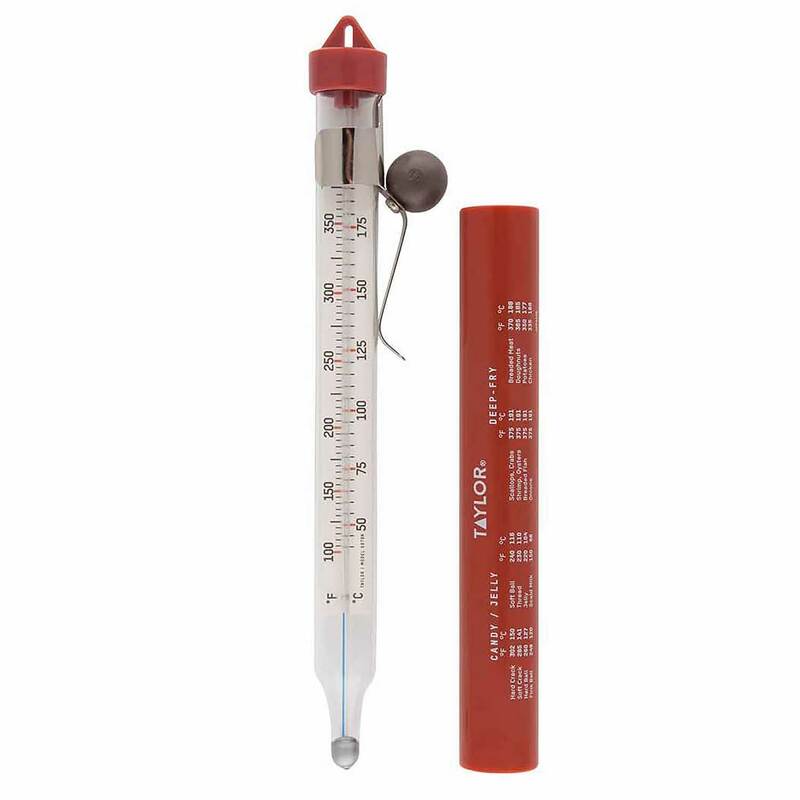 Note: Even with the best thermometer, readings may vary from day to day, so test the thermometer each time it is used. For candy, jelly, or deep frying. Measures temps from 100-400 degrees.